The new roast potato! Our roasted parsnips, drizzled with honey and real maple syrup, and a little wholegrain mustard, are definitely not just for Christmas! Enjoy delicate sweetness that mingles with the savoury hints of rosemary, garlic and whole grain mustard making these utterly addictive. Currently one of our only dishes that has to be oven cooked but there is method in our madness… Once in the oven the magic happens. 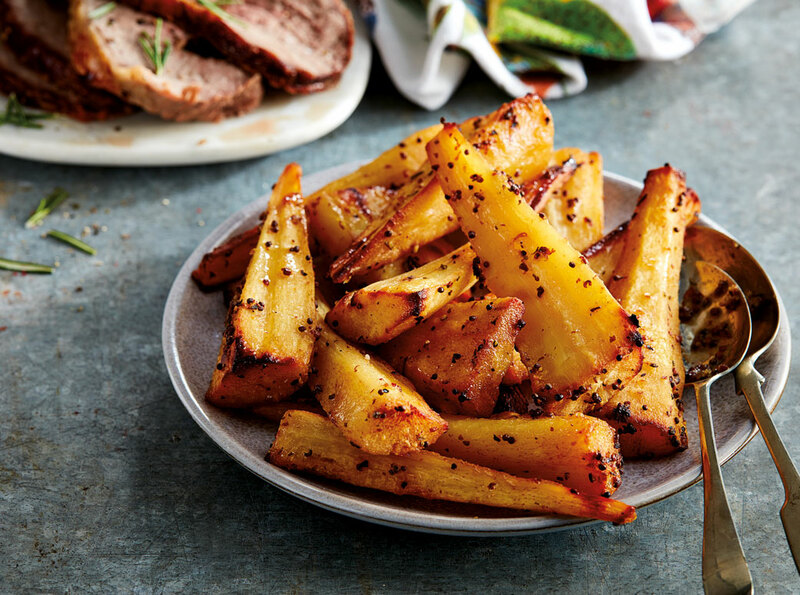 These Honey Roast Parsnips become crispy on the outside but oh-so fluffy on the inside….enjoy! Parsnips, Honey (8%), Maple Syrup (8%), Wholegrain Mustard (4%) [White Wine Vinegar, Water, Mustard Seed, Honey, Salt, Brown Mustard Husk, Natural Spice Flavouring, Tarragon], Unsalted Butter (Milk), Salt, Garlic Puree, Cracked Black Pepper, Rosemary.